COLORLAST Mask is rated 5.0 out of 5 by 5. Share https://www.matrix.com/biolage/core/colorlast/colorlast-mask ColorLast Maskhttps://www.matrix.com/~/media/images/haircare/biolage/core/colorlast/biolage_colorlast_mask_b-cl-m.jpg Wraps strands in 360* nourishment for extra conditioning. Rated 5 out of 5 by DawnMD from Amazing! I recently colored my hair blonde and missed the healthy conditioning it was in back when I was a brunette. My mother, a beautician, recommended this and I am so happy she did! It's also important to note that I am EXTREMELY sensitive to beauty products but it is a light, slightly floral scent that didn't bother me at all and disappears after styling. I applied it Sunday morning, pulled my hair up into a bun and went about with my housework. About two hours later, I rinsed it and blew it dry as normal and my hair is so soft, no tangles and my blonde is brighter! I love it. Definitely a new staple in my bathroom. Rated 5 out of 5 by san199 from Moisturizing and smells so good! I recently bought this product because my hair was extremely brittle and dry from chemicals (i.e hair dye) and I wanted a masque that didn't have protein or silicone in it. I used it as a co-wash and I loved how after the wash, my hair became more moisiturized. It also reduced the amount of tangling in my hair. 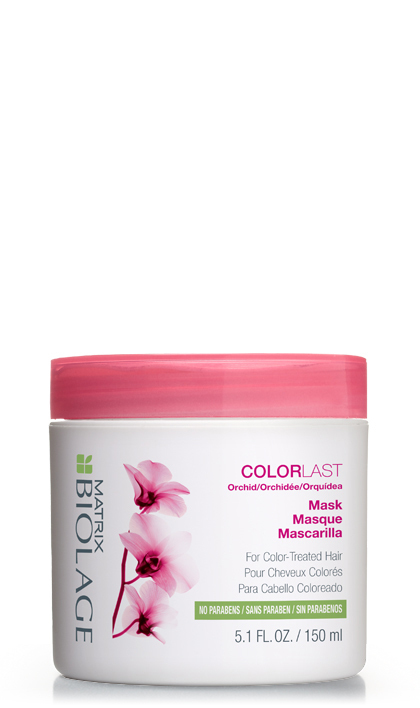 Rated 5 out of 5 by Anonymous from Color Care Bloom Masque I was surprised by this product. I received a sample of this along with the Color Care Shampoo. I have very long, stick-straight hair that doesn't hold curl. I have it dyed a dark brown, which is slightly darker than my natural color, just to add some texture. This masque made my hair sooo silky and really brought out the color, but didn't make it flat. I usually use AG or Pureology shampoo and conditioner. But this stuff works better! Would be great to use once or twice a week.